Note: Use flame-resistant belts if any oils other than vegetable oils are in or adhering to the materials being transported. ・Avoid materials that contain or have on their surface other oils than vegetable oil even a little. 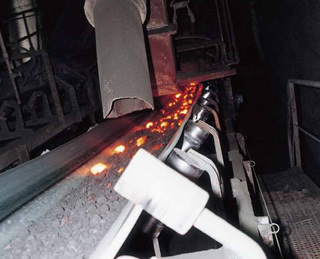 ・Avoid applications that require flame resistance. ・Avoid conveying powder materials at 180ºC or higher.